According to a recent survey by training consultancy Cedar, publicised widely in the HR press, half of all UK employees say their organisation does not help them develop team-working skills. Twenty percent of respondents have never been in a meeting where team performance was discussed, and 37% say they would rather work alone. This last figure is directly linked to the paucity of effective team-work. At first glance this is a damning indictment of the state of British business. But is this really as shocking or dysfunctional as it seems on the surface? While accepting that a good team leader can work wonders and that a bad team leader can have a very negative effect, there are other important factors to consider. For example, how many UK employees actually work as part of a team or need to do so? And what exactly do we mean by the word ‘team’? Is it surprising that a significant minority of people prefer to work alone? We know that about 50% of the British population prefer Introversion, and tend to find working alone energising. Many of these will naturally be drawn to jobs that allow them time to work on their own, and they are likely to be most productive in this environment. For these people, ‘good team-working skills’ are simply irrelevant. Besides, relatively few UK employees actually work in a team. Most people who don’t work alone work in a group, and the requirements for effective group working are quite different to those of teams. Accepted language does not help unravel the confusion, as some ‘teams’ – sales teams, for example – are often not teams at all, but groups of individuals, each with separate portfolios and targets, often in different territories or industry sectors. Good team-working skills may not be relevant in such settings; indeed, competitiveness and a splash of scepticism about colleagues’ motives may make people more rather than less productive as a group. In groups, each individual is accountable for their own goals and performance. 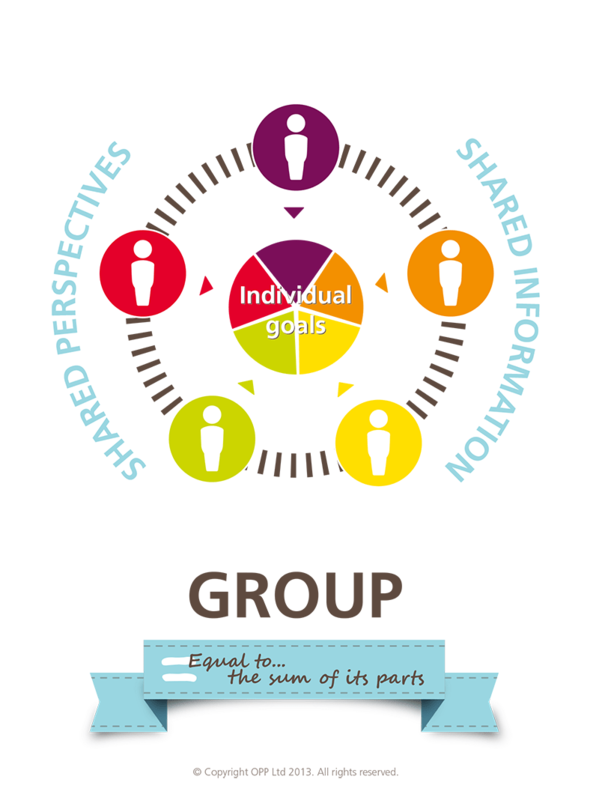 When the group comes together, it is usually to share information and perspectives, rather than to work in an integrated and interdependent fashion on a single task. An example would be a group of team leaders meeting regularly to keep their colleagues up to date. In contrast, teams focus on shared team goals rather than individual goals. A team can be defined as a collection of people with a shared responsibility and accountability for a goal, with team leader and team members dependent on each other in achieving that goal. Their roles and skills are complementary, each member is a link in the chain. As a result, trust and support between team members are critical to teams that perform at the highest levels. All of which puts a very different gloss on those figures of 37% for people who prefer to work alone, and 20% who have never discussed team performance. If anything, the first figure looks rather low. It would certainly be misleading to conclude that individuals are not receiving essential training or that businesses are not developing teams. It is simply that teamwork is not the sole model for getting work done effectively. Despite the Extravert ‘filter’ that is often applied to the workplace, being part of a team isn’t something that everyone needs, or should aspire to. Developing an effective team is hard work for everyone on the team and takes time to achieve. 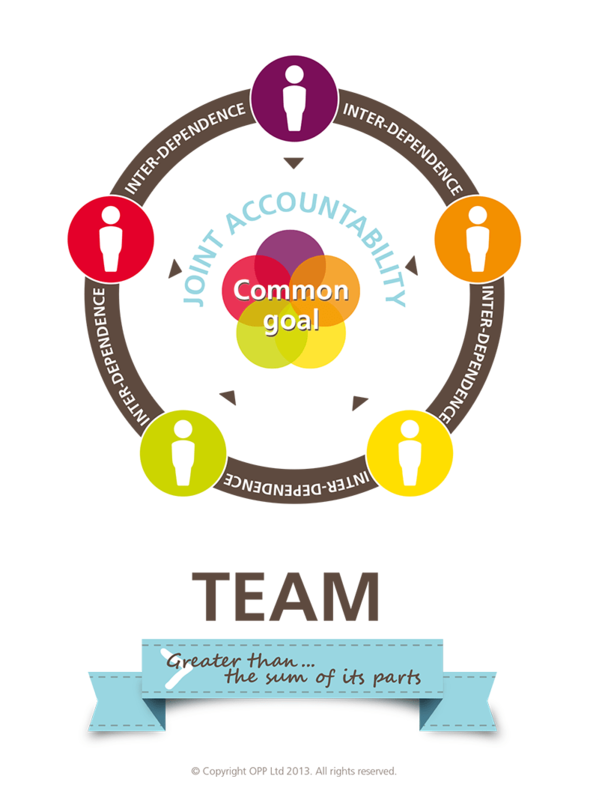 So where goals can be achieved through individual or group working, this may well be the most efficient way to go. The key is to know whether you should be working in an individual, group or team setting, and to take the right measures to improve your chances of getting the job done effectively and efficiently.